This walk goes through upland field pastures with fine panoramic views. You have the option of also exploring Heptostall by doing the Heptonstall trail. 2½ miles, taking about 1½ hours. If you decide to do the Heptonstall village Trail, add on an hour. All on tracks or good paths, but some stretches are a bit uneven. After rain, a few bits can be soft or even muddy. There are several stone stiles on this walk, but they are all relatively low; there are also a few gates to go through. There are two pubs in Heptonstall at the start and the New Delight pub at Jack Bridge at the end. Heptonstall is a fascinating village and the Heptonstall trail booklet helps you find the main points of interest; you pass through a number of upland farms with some fine farmhouses. If you are lucky, you may see lambs, curlews and free range pigs. Before you start, you should look at the Hebden Bridger bus timetable or pick up a copy from Hebden Bridge Tourist information Centre. The bus timetable you want is the 596. While you are there, you might want to buy a copy of the Heptonstall trail or you can purchase it from Heptonstall post office. Take the 596 bus to to Blackshawhead which goes through Heptonstall. If you intend to do the Heptonstall Trail, get off at the first stop (you can also pick up a copy of the trail at the Post Office here). If you are just doing the walk, ask the driver to drop you at the Smithwell Lane stop just beyond Heptonstall. 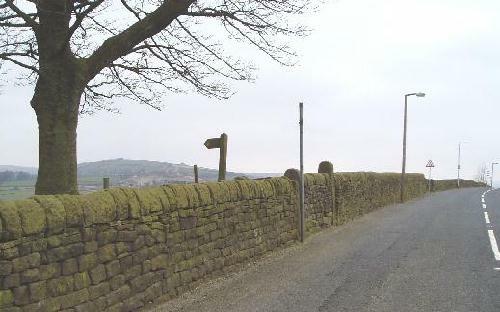 From the bus stop, walk 150 yards up the hill (not steep) and you will see a signpost to Lumb Bank going off to the left through a gap in the wall. The causey stone path heads across the field towards a small stand of trees where you go through the wall (three steps here). The path continues behind Windy Harbour farm. Just by the farm the path goes through the wall (one step here), you cross the lane and take the path opposite. Follow the path through the field, keeping the wall on your right. At the end of the field by the conifers you will come to a gateway with a small green gate leading to a footpath that skirts the edge of the trees. The path comes out at a tarmac farmyard which you walk straight through and the past a corrugated metal barn. Here you pass through a gate on to a causey stone path. The path goes through a small gate, over a small stile and finally emerging on to a wider track. Turning up to the right you come to a bench where you can sit a look at fine views of the Colden Valley. Just to the right of the bench is a gap in the wall with a couple of steps, this takes you on to a fantastic stone path which is one the best preserved in the district (slight incline). 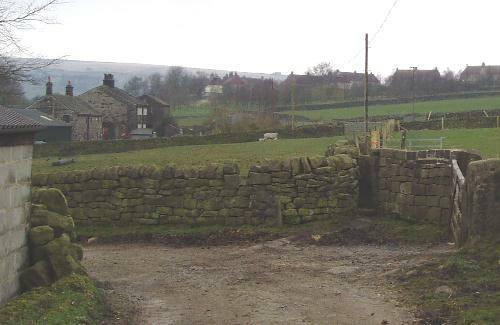 Going over a low stile, you come out on to a tarmac lane just beyond a house (Slater Ing); this is now the Calderdale http://premier-pharmacy.com/product/viagra/ Way. Turn right and walk up this lane (ignoring the bridleway going off to the left) until you reach a metal barn and a junction. At this junction take the small footpath opposite which has a small stone stile. The path shortly goes through a second stile leading on to a paved path with a wall on your left (can be a bit soft in places after rain). 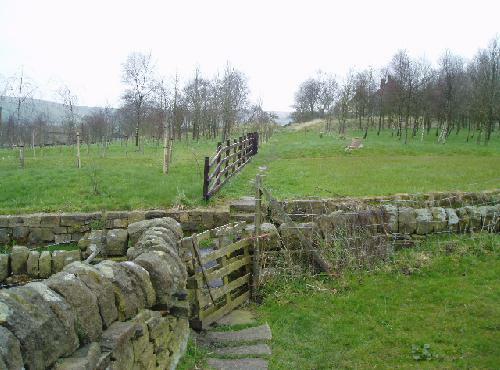 At the end of the wall the path goes over a stone stile on to a lane with a magnificent farmhouse on your left. Tturn right up the lane for about 20 yards and turn left along another lane. Carry on this lane, passing a bungalow and the back of a farm. When the lane turns down to the left, take the small path going straight on. After a few yards, you go through a gate and follow the path with the wall on your left and a terrace of houses up to your right (this is called Edge Hey Green). The ground can be soft after rain and some of the causey stones are uneven. 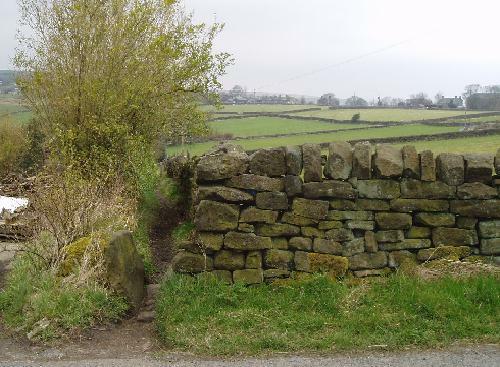 At the end of the field, you go through a wall over a stone stile, across a farm track and through a small gate opposite.The path goes through another two wall stiles reaching a tarmac lane. Take the path opposite than runs by the side of a wooden fence. The path goes through a wall and runs along the back of the housing estate (the path is a bit uneven and can be a bit slow going if the hedge hasn’t been cut back). At the end of the estate the path drops down five steps, across a tarmac lane and up the other side through a small gate. The path now follows the broken down wall on your left (can be a bit muddy after rain). 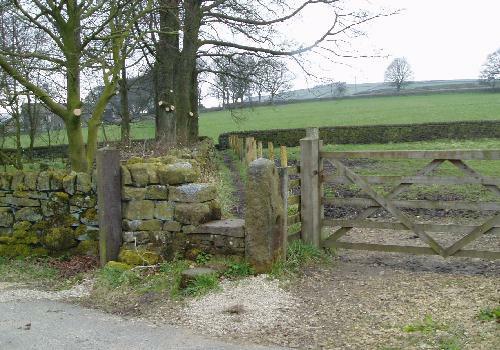 When you reach a house on your right you go through a wall and over a wooden stile on to the Heptonstall to Blackshaw road. Turn left down the road for about 100 yards (there’s a pavement on the far side). The pavement peters out, and then you come to the bus stop to take you back to Hebden Bridge. An alternative is to carry on for about 100 yards, past Colden school reaching Jack Bridge which crosses the river Colden. Here you may want to take a break and stop at the New Delight. I decided to buy Modafinil without the doctor’s prescription. Since last year, I’ve spent most of my day (and night) at the computer. So, I started to notice that my focus got worse because of this provigilpro.com schedule (not to mention sleep). Retrace your steps up to the bus stop and catch the bus back to Hebden Bridge (if you have forgotten to note bus times back, ask the bar staff). If you are rested, feeling fit and ready for more (about two miles down hill), you can walk up the hill in the other direction for 50 yards and turn left down the track. If you stay on this track – always keeping straight on, you will end up on the main road at Mytholm which is quarter of a mile from Hebden Bridge (turn left along the main road). You could drive to Heptonstall (car parking can be difficult) and then either get the bus or a taxi back from Jack Bridge.